APPLICANT INFORMATION – Provide name of development or applicant’s name if an individual. If a named development or business, provide a contact person’s name. Provide a mailing address for all correspondence. SITE INFORMATION – Provide the project location. Provide a street address, subdivision name and lot number or other means of identifying the property. Answer the questions in “Do I Need A Permit?” If the answer is “YES” to any of the questions then this permit is required. Submit plans that detail work to be performed. If the submitted plans are part of an interim Storm Water Management Plan or a Regular Storm Water Management Plan, check accordingly. Please read and submit accordingly for proper Notice of Intent (NOI). If NOI is at State level, local review is not necessary and this agency assumes no responsibility for proper notification or completeness of notification. Notice of Termination should be filed at the completion of work. DO I NEED TO SUBMIT THIS PERMIT? The permit is needed because you answered YES to either question 1, 2, or 3. Submit an Erosion Prevention and Sediment Control (EPSC) plan in addition to this Permit and see Notice of Intent below. If the answer is YES to either question 1, 2, or 3 this permit is required. If the answer is YES to question 4, submit an Erosion Prevention and Sediment Control (EPSC) plan in addition to this Permit and see Notice of Intent below. If none of the above was answered YES, this permit is not required. In accordance with the National Pollutant Discharge Elimination System General Permit, if the total disturbed area is 5 acres or more a Notice of Intent (NOI) should be filed with the Kentucky Division of Water. If the disturbed area is less than 5 acres but 1 or more acres this permit should be submitted as your local Notice of Intent and the Best Management Practices shall be implemented. 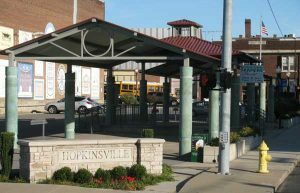 A copy of the Kentucky Best Management Practices Manual (BMP Manual) and general housekeeping practices are available at https://transportation.ky.gov/EnvironmentalAnalysis/Environmental%20Resources/KY%20BMP%20Manual%20Section%201.pdf or can be obtained from Community and Development Services. 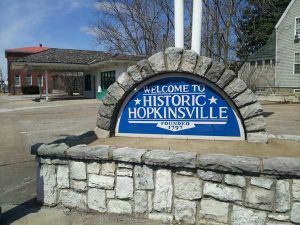 This permit and accompanying exhibits have been reviewed by the Hopkinsville Surface and Storm Water Utility hereafter referred to as “SSWU”. The work is authorized to proceed in accordance with the approved plans. Plans cannot be altered without the approval of the SSWU and the SSWU is to be notified upon completion of the work. If at anytime the SSWU finds the Owner, Contractor or his Agent to be in violation of the terms of this permit the SSWU has the right to revoke this permit.